The ongoing search for photos to illustrate the next book consumed most of the early morning. Then there was the need to post event updates on my official Facebook page(you did know that there is an official Jim Hinckley page, didn’t you?). This was followed by a valiant effort to confirm all arrangements for the ever changing Burbank and Los Angeles adventure on the weekend of November 15. Thank you, Mr. Piotrowski. Meanwhile, the seal repair on the Jeep has morphed into a complete rebuild of the front differential, and replacement of an alternator. That was interesting. Oh well, that is about equal to two monthly payments on a new Jeep. If you would like to tell friends or family where to go this Christmas, you might consider ordering autographed copies of my books soon (see information at the top of the blog). Even though I currently only offer domestic shipping, media mail can take up to two weeks, and I have been told, three weeks during the Christmas season. Since we are on the subject of shameless self promotion it should be noted that the calendar is full for the month of November and at least two weeks in January, 2015. So, to arrange for a presentation of my Route 66: Crossroads of the Past and Future program, please keep this in mind when making inquires about scheduling. One more item in the self promotion category pertains to tours. In a limited partnership with Open Road Productions, customized tours of Route 66 from Amarillo to Santa Monica are now available. This has resulted in an interesting turn of events. Who would be interested in a one of a kind, in depth tour of Route 66 with short detours to unique locations next year? In a related note, with reservation, in 2015 I will be offering tours of Kingman customized to your needs or the time constraints of the tour group. A wonderful new attraction on Route 66 is now housed in the historic Powerhouse Visitor Center in Kingman, home of an award wining Route 66 museum. 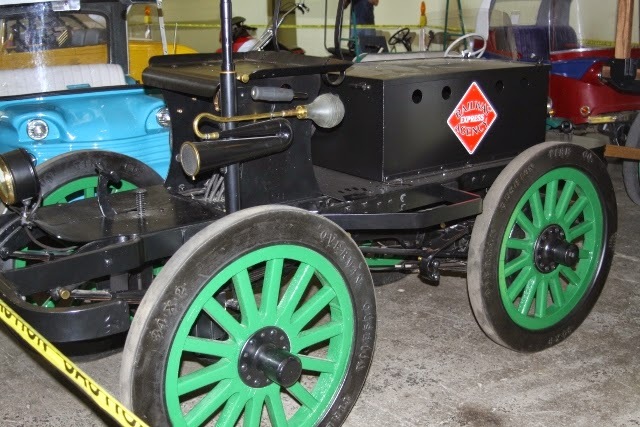 The Historic Electric Vehicle Foundation/Kingman tourism museum that opened during the Route 66 International Festival is literally a one of a kid as there isn’t another collection like this anywhere in the world. New additions will be added in the moths to come. For information pertaining to hours of operation contact the Kingman Area Tourism office at (928)753-6106. 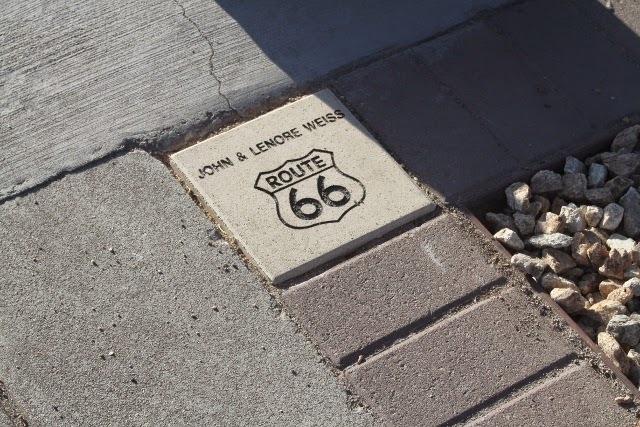 During the festival in Kingman another unique attraction was added and that was the Route 66 Walk of Fame. For more details about locations of the honorary bricks, or to nominate an individual and fund a brick for inclusion, contact Julie at (928)753-1477. In a somewhat unrelated note, even though Legends of America is the official on line gallery and distributor of our photographic prints, I wasn’t sure that this item should be included in the self promotion paragraphs. After all, this website is a treasure trove of information as well as historic photos, and the work of other award winning photographers such as David Fisk are also featured. To close out today’s post, I was wondering who will be stopping by Atuo Books – Aero Books in Burbank o the 15th of November. You KNOW I'll be there on the 15th.